Shannon has been teaching yoga since 2010, and is certified through the Unity Yoga Traditions (200 hr) with The Southwest Institute of Healing Arts. 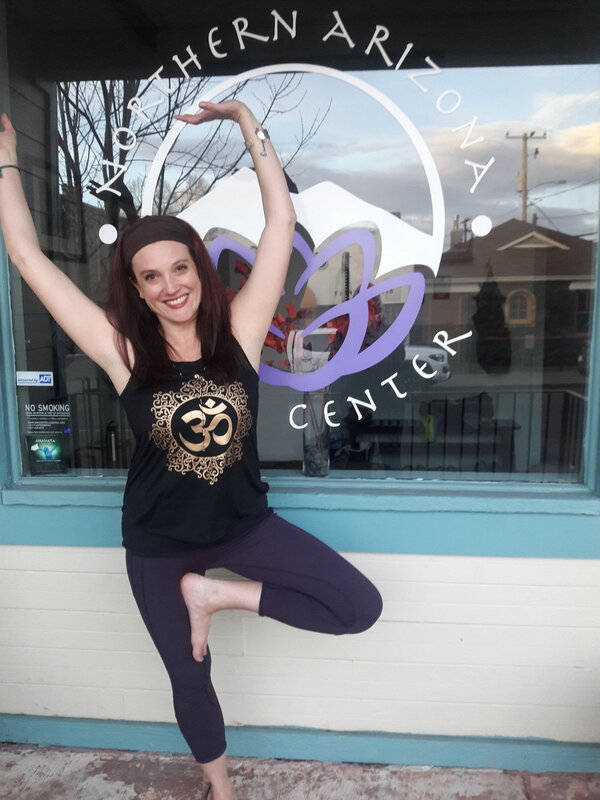 She completed her 500 hour Yoga Teacher Training with Vertical Soul Yoga at Northern Arizona Yoga Center. Shannon found yoga as a healing practice in her own life in 2003 and has been practicing many forms ever since. In collaboration with her psychology and energy health background, she weaves yoga throughout her spiritual and professional practice as a holistic coach with clients in her LLC and with patients in her role as a Whole Health Coach with Vera Whole Health.